3:27 min. - Mamit Innu Nikamu is an aboriginal music festival held in Unaman-shipu in February. Recorded in 1998. Presentation of a unique festival. Mamit Innu Nikamu means “The Indian from the East Sings”. 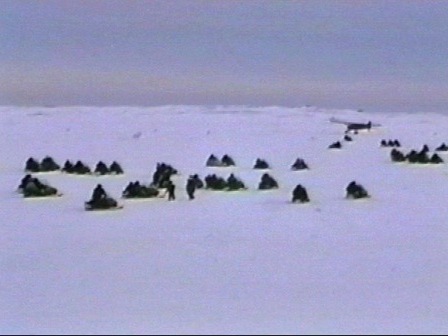 The action takes place in the Innu community of Uanaman shipu in winter, so there are no roads or boats, only snowmobiles and planes.